What Happens if My Dishwasher Is Not Level? A dishwasher is designed to function when it's installed so that it sits perfectly level on the floor of your kitchen. If the appliance is only slightly unbalanced, it may continue to work, but when it's drastically off-center, you will likely encounter one or more problems relating to its performance. A dishwasher that is not level is prone to leaking. If the dishwasher is extremely unlevel when you are trying to install it, it might not fit in the designated space under the kitchen counter. Many dishwashers fit snugly and with little room to spare into this space, which is square with vertical sides. If the dishwasher is not sitting vertically, one of its sides will bang against the side of the hole and the appliance will not fit. When a dishwasher does not sit level during operation, the water inside it will pool in an area that the manufacturer did not intend. Typically, the water will pool in one corner of the dishwasher; if the water pools in one of the front corners against the door, it can weaken the door gasket over time. The continuous pressure against the gasket from the water can result in the water leaking out onto the floor. 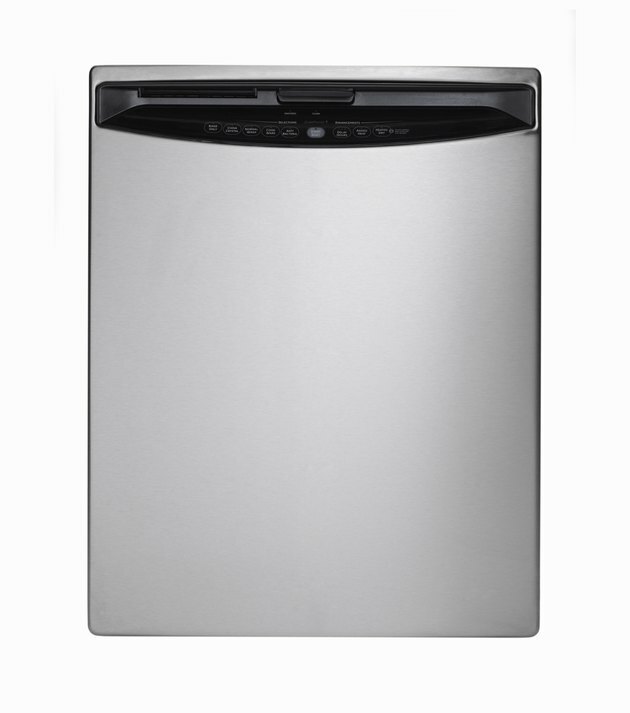 When a dishwasher is sitting level, it will drain completely between cycles. When it's not level, some of the water will not be able to run into the drain, which will result in excess water staying in the appliance. Over time, this water can begin to smell poorly, and the smell can escape into your kitchen when you open the dishwasher door. If the water pool is high enough, it can also leak every time you open the door. To avoid the problems associated with a non-level dishwasher, it is imperative that you ensure it's level before you begin to use it. When you install it, push back and forth on the appliance to see if it rocks slightly. Rocking is a sign that it's not level. Have a strong assistant lift the dishwasher up on two feet while you adjust the feet beneath it. Most appliances have adjustable feet that lengthen and shorten by turning them. When finished, place a level across the top of the dishwasher to determine if it's level.